Metallurgy Machine And Casting Machines, Consecutive Casting Machines, Cemetery Machines, Spiral Transporting Machines, Etc. Multilayer bushing (dry Sliding Bearings) VIIPLUS bushings are self lubricated material and are a three layer composite product. The product in a special recipe of high density copper alloy substrate, sintered porous bronze layer. 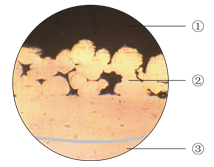 Surface rolling a mixture of PTFE and Pb. It can provide good self-lubricating, wear resistance, low friction, such as performance, give full play to the advantages of metal and multi-element polymer. Products used in the industries of metallurgy, continuous casting and rolling mill, cement machinery, screw conveyor and so on. Self‐lubricated Sliding bearings are exhibiting the ability to transfer a microscopic amount of lubrication film to the mating surface to enhance the machine performance & to reduce friction throughout its operating life, without any added grease or oils and ensuring clean, maintenance free operation in the most challenging environments. OUR MANAGERS AND ENGINEERS HAVE MANY YEAR PLAIN BEARING EXPERIENCE IN THE PLASTIC MACHINERY INDUSTRY. 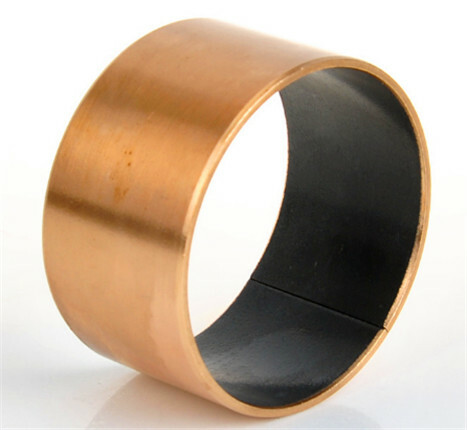 The bronze bushing is mainly used with plastics extruder, drawing machine, cutterbar . It is one of the most used kinds of plain bushing. Our factory is specialized in manufacturing series hydraulic system bushings,viiplus bushings mainly used in plastics machinery, construction machinery, pull parts etc. We have kept good relations with many companies which produce plastic machinery, shafts, hydraulic motors and valve parts. These bushing products is widely used in engineering, plastics, metallurgy, oil, mining and machineryindustries such as ship transmission fluid! Suitable for dry running, low coefficient of friction, lower wear, good sliding characteristics, the transfer film created can protect the mating metal surface, suitable for rotary and oscillating movement. 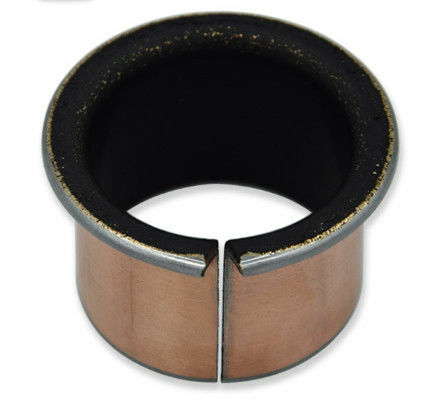 Very high chemical resistance, low absorption of water and swelling, also performs very good lubrication feature, the bronze backing provides the improved corrosion resistance comparing with VSB-10. 1. PTFE/fibre mixture thickness 0.01~0.03mm, provides an excellent initial transfer film, which effectively coats the mating surfaces of the bearing assembly, forming an oxide type solid lubricant film. 2. Sintered bronze powder thickness 0.20-0.35mm, provides max. thermal conductivity away from the bearing surface, also serves as a reservoir for the PTFE/Fibre mixture. 3. Bronze backing, provides exceptionally high load carrying capacity, excellent heat dissipation and very good corrosion resistance.